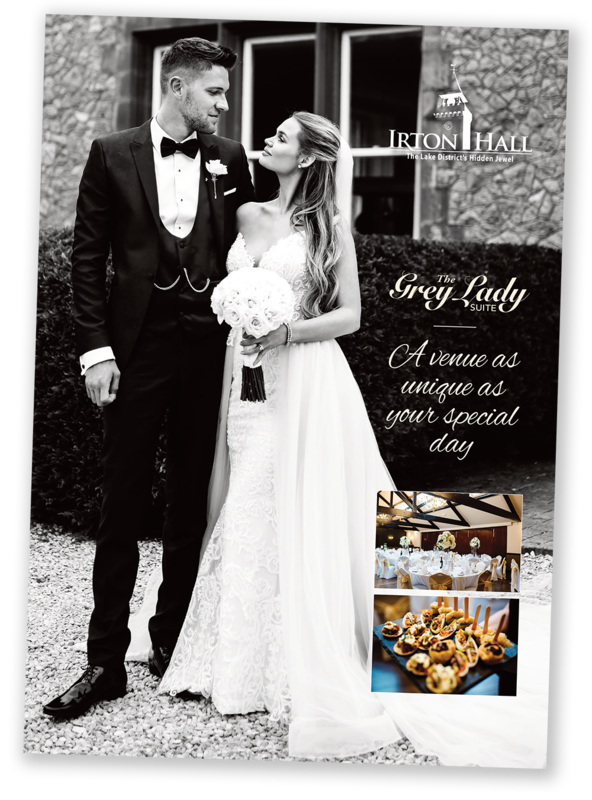 If you’re planning a very special event, you can’t make a better choice than Irton Hall – which has its own dedicated weddings and events venue, The Grey Lady Suite. Located immediately adjacent to the Hall itself, and surrounded by beautiful landscaped grounds, the Grey Lady Suite will lend grandeur and elegance to your special occasion, making your wedding day a truly memorable event. Whether large or small, a major occasion or an intimate affair, Irton Hall’s Grey Lady Suite provides the perfect location for a wonderful wedding. Fully licensed for civil ceremonies, The Grey Lady Suite can accommodate all your wedding needs, with a choice of lay-outs to match your individual requirements - from a seated wedding breakfast for up to 150 guests, to a stand-up party and buffet for several hundred people; there’s also a fully licensed bar and dance-floor, cloakrooms and lounge area. Surrounding the Grey Lady Suite are beautiful gardens for wedding photos - and Irton Hall’s very own professional wedding-planning service will look after all the details, from table decorations to menus, from accommodation to transportation. From the first appointment with your dedicated wedding coordinator to the minute you say “I do”, our wedding team will be on hand every step of the way to make sure every element of your wedding day is perfect for you and your guests. To discuss your requirements for hosting a wedding at Irton Hall, please call +44 (0)19467 26025, and we’ll be delighted to tell you about available dates, facilities and special packages designed to make your marriage occasion an outstanding success. 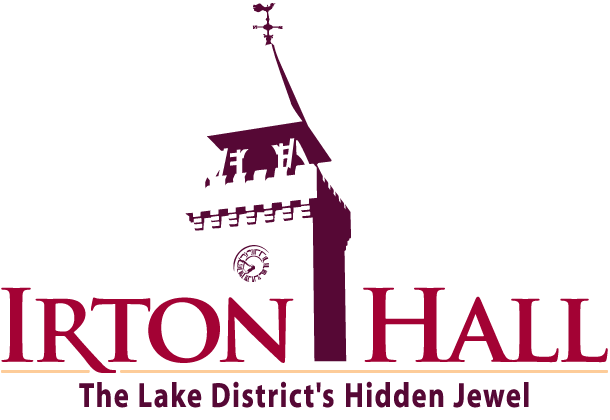 If you would like a large-scale reception at Iron Hall, our luxury Grey Lady Venue is sure to suit your needs. 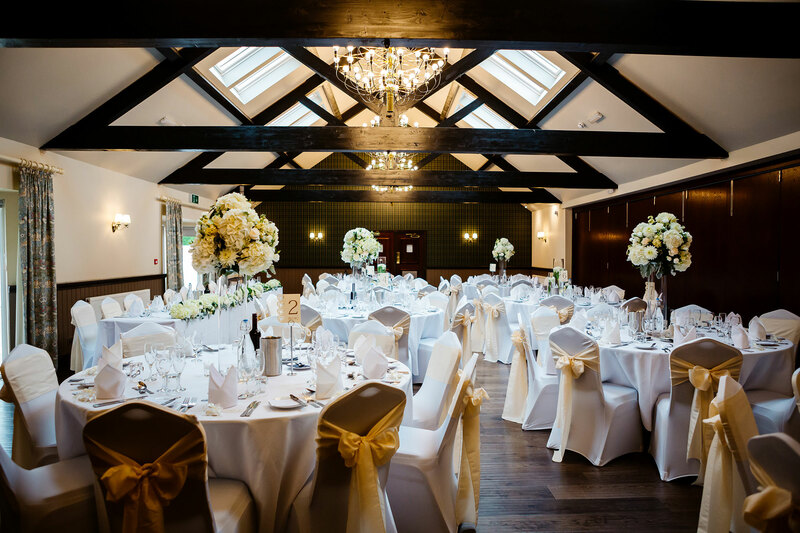 Located in the grounds close to the Hall, this purpose-built venue can accommodate up to 150 for a seated wedding breakfast and up to 200 for a non-seated evening reception. The Grey Lady has a large partition door that can be opened or closed to allow for virtually any size of celebration – and the venue is fitted with sparkling chandeliers and large windows that overlook the surrounding grounds. There is also a solid-wood dance floor, toilets and lounge area with a fully licensed bar. 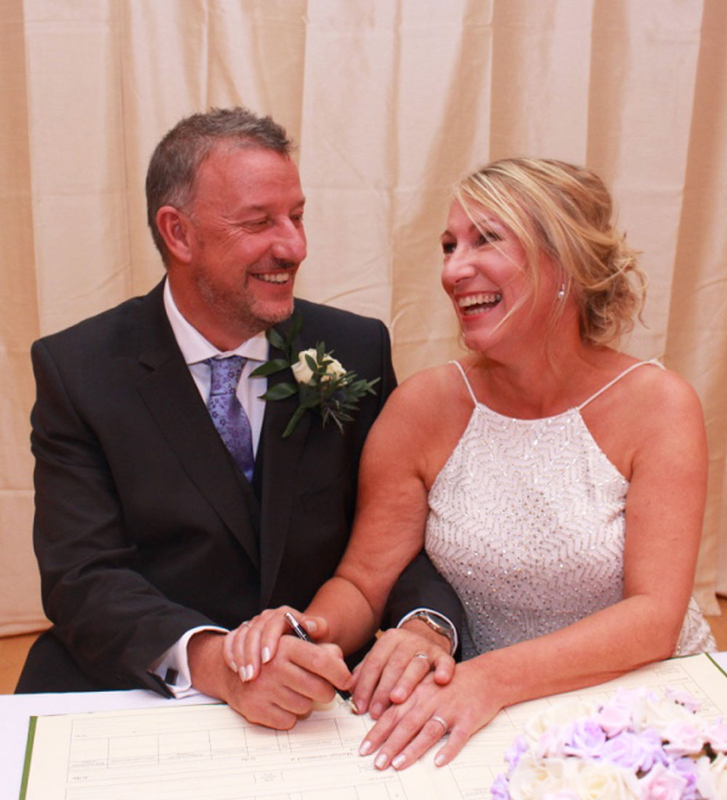 Our Grey Lady Venue is licenced for civil marriage services and can comfortably accommodate up to 150 seated guests. The wedding package includes full use of the Grey Lady Venue during your marriage ceremony.